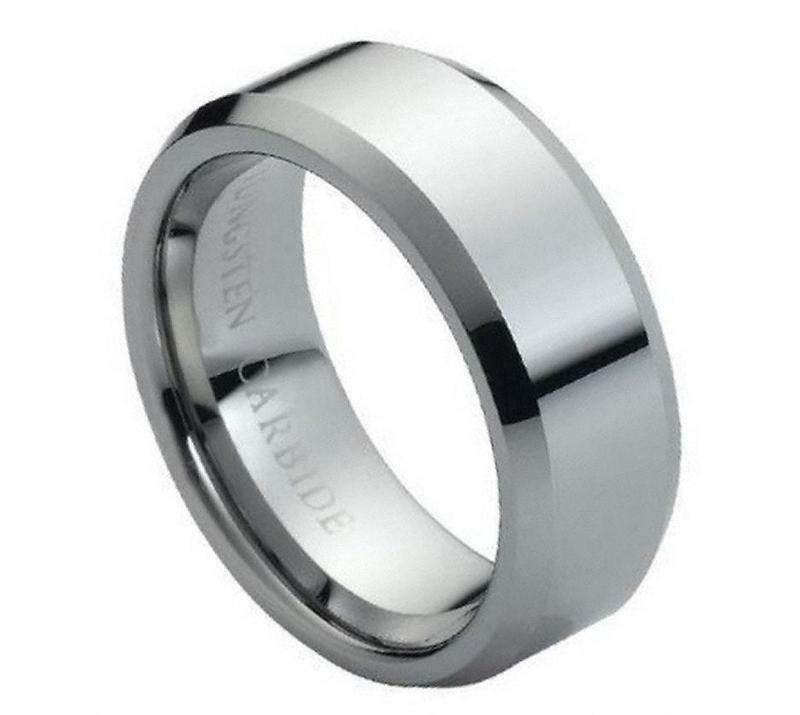 This Tungsten Wedding Band is a classy looking ring. It has beveled edges that catch the light and give this Tungsten Ring a great shine. This Tungsten Ring is a "comfort fit" which means it is rounded on the inside. Our Tungsten Wedding rings are made from the highest quality materials and will not scratch. We also pride ourselves on having the lowest price on Tungsten Rings.